There is a lot of gridded information on meteorological variables elsewhere. Numerical weather prediction models and satellite-derived models deliver time series and aggregates of main meteorological variables with global coverage that can be finally used to create maps offering information on the spatial variability of those magnitudes. 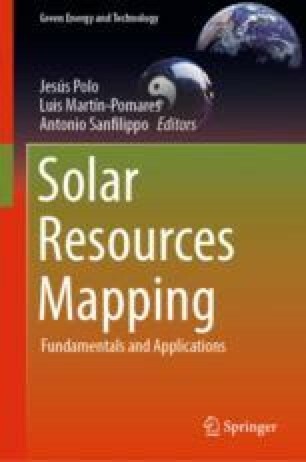 This chapter intends to give a very simple overview of mapping solar radiation data or any other gridded variable using QGIS open-source Geographic Information System.